Why my line is so bad with this asus? Other than this phone is superb. Just asking, my phone is about a year and 6 months, suddenly my battery is draining so fast , and there are times that even if I do have still 30% of my battery it shuts down automatically. Need help . 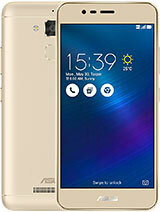 I have used asus zenfone 4 max about 3 month. Very poor smart phone. Camera and speaker very bad. Recently, my phone keeps freezing and dying(black screen of death, BSOD) everyday. And to solve it, I need to press and hold power button about 15 seconds and more. It really irritates me. 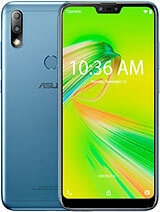 I hope this phone will be the last phone i bougth with the brands 'asus' on it (haha). Are this zen 4 max can use VR 3d? This is great value. Is 3GB. Not bloated, got rid of instagram, facebook, n others i dont want. Chrome n Google force stopoed, without problems. I use Cheetah mobile, which blocks ALL ads, n DuckDuckGo browsers. AVG anti virus n cleaner protects n cleans my phone junk every day. Charge battery every 3 days. Upgraded to Android 8, system, in massive 572MB update, via wifi - after, recharge burned out charger. Coincidence? Latest big update declined, n no problems. Deny, 15 Nov 2018Yep, I'm pretty sure. You can check it here. But, I'm also thinking, maybe it has some differ... moreSeems it does. They sent a different version for LATAM... though it's a cheaper one coming with only 2GB of RAM rather than 3GB and only 16GB of internal memory. Edit: I just accessed the hardware test menu, found the item for gyroscope and it worked and passed the test, I assume that means it does have grysoscope as the test says clearly that I needed to roll the phone in two different directions to check if it detected gravity. 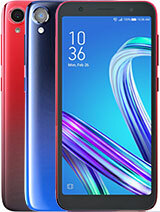 Regarding the body, I'm not sure what material is but sure it's not aluminium or plastic, feels reeeeally sturdy, the feel of this phone is one of a flagship one, doesn't bend at all, the back and sides are very resistant to scratches. 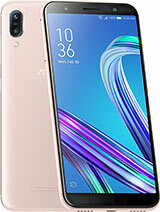 I had a xiaomi redmi note 5a before this one, they are similar in chipset/GPU but the difference in their bodies jumps to sight inmediately, that xiaomi had an aluminium body that was very easy to bend (it bended a little bit when I rode my bike with it in my pocket for a week and ended up having a fisure on its battery due to that, this Zenfone has been with me for more than 100 hours of biking without the minor signal of bending). About the fingerprint reader: I have been always skeptic about using those as I thought they would be laggy or would fail easily. I gave it a chance with this phone and it's reaaaaally fast and accurate. 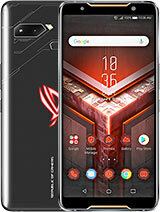 Hi guys, I just want to ask if this phone is made from aluminum or has a metal/aluminum body? And if the fingerprint sensor is fast and responsive. Thanks! Reiki, 11 Nov 2018Are you sure? I'm using a couple apps that require gyroscope for some (non-necessary) function... moreYep, I'm pretty sure. You can check it here. But, I'm also thinking, maybe it has some different spec in different country like what they say in the bottom of the page. denykp, 28 Sep 2018you need to edit the sensor section. 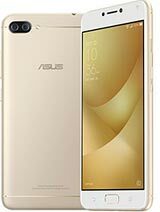 the tech specs in asus site and check some review video ... moreAre you sure? I'm using a couple apps that require gyroscope for some (non-necessary) functions and they work correctly. Just bought one last week. So far everything is working properly. The camera quality is poor. I bought this phone last Thursday. Since then found it has screen/touch response problem. Most probably need to send (waste my time) to service centre so early. Why ASUS? 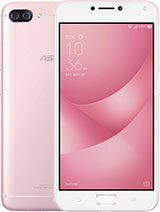 Thinking this will be my third ASUS phone and last. you need to edit the sensor section. 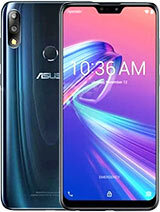 the tech specs in asus site and check some review video said that this phone has no gyroscope sensor. so sad, this phone would be perfect for me if it has a gyroscope sensor. Good budget phone, at RM399 (around USD97), this is bargain..
gaber kemplu, 09 Aug 2018many people says that the volume is very low...but i'll say "just a stupid people who can't op... moreAgree with that, I'm very picky about volume and this phone performs great in that area if you enable outdoor mode under the volume controls. Bought this on promtion for 159 Euros, saving 70 Euros. Looks and feels superior in quality. IS 3 RAM in Europe. 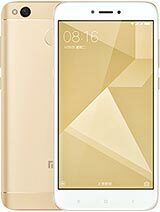 Closest best quality rival, Xiaomi, was 249 Euros. The Asus uses a key to release a small holder for 2 chips & SD card. Rapid charge is, er, rapid. Only gripe is charger connector partially fits wrong way up, so presume gently forcing for that reassuring click will damage, or wreck, the connector. Anyone here who knows when will it have an Android Oreo update? 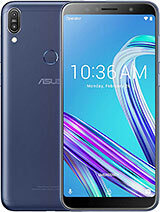 Total of 62 user reviews and opinions for Asus Zenfone 4 Max ZC520KL.